Community Outreach – MorningStar Landscaping, Inc. Sometimes we all need some inspiration and education concerning what we can do to enhance our yards, lives, or communities. Learning first hand from The Nature’s Crusader herself you will enhance your knowledge on a wide variety of garden and wellness topics for community or business groups, children’s events, addiction facilities, mental health hospitals, non-profits, and rehabilitation centers. You will hear how My personal experience with Nature, nutrition, and the power of positivity greatly improved my PTSD and years of brutal insomnia. Providing simple facts and answers to any questions on my experience spectrum. Using my years of creative gardening wealth to educate you on your garden and wellness goals. Discussion on plant projects from hummingbirds to butterflies, water management, sun and shade plants, weed control, and warding off the adorable yet pesky deer. Taking time to understand how important connecting with nature and realizing just how vital it is in pertaining to your body, mind, and spirit. Understanding the connections that exists and apply Nature to assist with any levels of healing. Topics may range from Holistic Health and Mental Wellness approaches, to creating a Zen garden at your home. Xeriscape, Interior plants, and Tropicals, knowing about toxic plants near your children and pets, to healing plants and design styles that suit you. Fairies are the protectors of plants and the mineral kingdoms and are very strong-willed environmentalists who encourage you to please take care of our planet and other living things. In folklore they have also been called Nature’s Angels. Since they are so happy when we treat animals and plants so well, what better way to express our appreciation then to create a fairy garden! This is definitely my favorite thing to show children giving them a sense of responsibility, artistic freedom, learning about plants, and also knowing they can keep adding to their garden or just create another one. 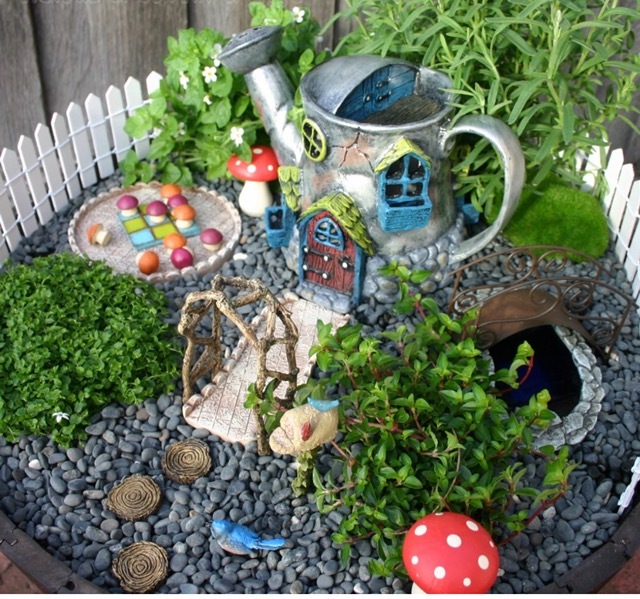 With just a small area with a few plants, decorative gravel, and miniature figures and structures, you can create a mystical and magical little garden. It’s a wonderful hobby for people of all ages that you can do in pots or in the landscape. Ask about Fairy Garden Parties for Birthdays or private events and become a Flower Crusader yourself!